In most cases, space heaters present the most optimal solution for dealing with the harshness of the wintry cold. During winter, your primary concern is to keep yourself and your loved ones warm. By using a simple space heater, you can bring up the temperature of the room in a matter of minutes. That statement might be true for the regular-sized rooms. But what about the larger rooms? Fortunately enough, there’s a product for everything! The market offers a variety of space heaters which are designed specifically for larger areas. As is the case with other products, purchasing the right space heater requires thorough research. The whole process of getting a new space heater can be tiresome as well. You need to know what you’re buying and how much you’re paying for it. The good thing is that this review will do the hard part for you. Therefore, we’ve assembled a short list of the best space indoor heaters for large rooms in hopes of aiding you in that matter. The first and foremost thing that you need to know about this heater is that it uses ‘’micathermic’’ technology. What that means is that thin sheets of mica (a group of silicate minerals) cover up the heating elements of the unit. The panel doesn’t get too hot, which means that you can touch it freely without having to worry about burning yourself. An interesting thing about this unit is that it doesn’t use a fan. It doesn’t blow the heat but radiates it instead. That means that it’s almost, if not completely, silent. Many people complain that their space heaters produce too much white noise (buzzing, humming, etc.). Fortunately enough, that is not the case with this space heater, and it makes it perfect for living rooms. There are several controlling options on the side of the unit. You can choose between two different heat settings, use an anti-freeze setting, and adjust the thermostat. The bottom dial allows you to adjust the heat level from cold all the way up to high. Keep in mind that there are no degree number labels on the dial. That, however, doesn’t reduce its effectiveness in any way. The heater is relatively lightweight and has a removable set of wheels underneath it that allow you to move the unit around. It’s an extremely useful feature to have if you live in a place where space management is an issue. Furthermore, the heater comes with an additional mounting kit which enables you to attach the unit to the wall if you wish. Due to its thin profile, the heater will not take a lot of space and won’t get in your way. This heater has a lot of flat and neat surfaces. A great thing about them is that they don’t heat up except for the front panel where the heat comes out. So make sure that you don’t touch that part. Everything else is pretty much safe to touch. There are three heating modes (low, auto, and high). The heater allows you to set the temperature all the way to 90 degrees. It can’t overheat due to its self-regulating ceramic element. You have a convenient handle on the top of the unit, which controls the vent inside. You can either rotate it up or to the front, depending on where you want the heater to blow. The manufacturers implemented this feature knowing that some people prefer having the heat go up rather than down. The reason for that is to prevent the potential occurrence of fire when the heat is hitting the carpet or other furniture. The control panel is located on the front side of the unit, below the vent. There are five buttons which offer some customization options. You can turn the unit on/off, increase/decrease the temperature, adjust the timer, and select the heating mode. The panel has a display which greatly simplifies the user interface usage. The only downside of this unit is that it needs more time to heat up and actually start heating the area. That is especially true for larger rooms. However, once it reaches the desired temperature level it maintains it effortlessly. Besides being a convenient and easy-to-use space heater, it’s worth mentioning that it’s affordable as well. 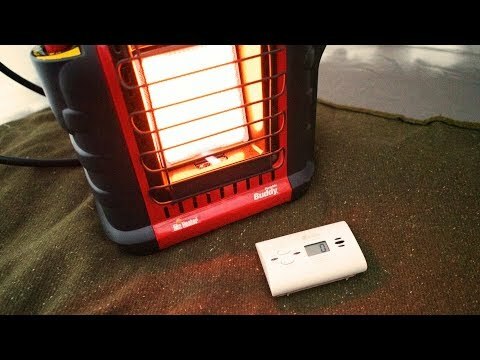 Most heaters tend to go over $100. You can easily purchase this one for less than that (around $90 on Amazon). It’s tough to look past the old-fashioned and retro appearance of the Lifesmart Lifelux heater. But if we put that aside, we see that this heater has quite an extensive list of features. Its cabinet is made out of real oak-stained wood. You might be thinking how that’s a terrible idea (to build a heater out of wood). On the contrary, the wooden parts are always cool to the touch and never heat up. Even the power cable stays cool, and that is something that most space heater manufacturers try to achieve. So, the manufacturers managed to give this heater a striking appearance and still keep it convenient and safe to use. When it comes to the heat output, it uses around 1,500 watts. At least that’s what the company advertises. We’ve noticed that it actually draws around 1,400 watts when it’s set to “high” (setting), which is still more than what other heaters are able to draw. In case you don’t want or need the extra heat, you can always use the eco setting which reduces the amount of power that it draws. Furthermore, there’s a control panel as well where you can set up the 12-hour timer, adjust the heat settings (Eco Setting, etc. ), and adjust the digital thermostat. Each setting has a designated button for it and is fairly easy to use. However, we’ve noticed that the buttons are kind of stiff at times and feel a bit cheap. The fact that you can access the panel via the remote controller is definitely a positive feature that sets this heater apart from its competitors. Dr. Infrared Heater is a common choice among many who wish to acquire an energy efficient space heater. The fact that it’s so small and able to heat up larger rooms justifies that statement. Its dimensions are 13 x 11 x 16 inches, and it weighs around 23 pounds. Don’t be fooled by its size, this heater can heat up a 1000 square feet place just as any 1500-watt heater would do. To achieve that, it combines a high-efficiency blower with its dual heating system (Infrared quartz tube and PTC (Positive Temperature Coefficient)). There are two temperature settings at your disposal ranging from 50 to 85 degrees. These temperature settings can be combined with three different heating modes (auto, low, and high). Depending on the designated temperature level, it can use 1000 watts for the low power setting and 1500 watts for the high one. The heater can’t overheat as it has a tip-over protection built in. In addition, there’s a 12-hour automatic shut off timer feature. That tells us that it’s more than safe to use, even if you decide to leave it unattended. When it comes to noise production, we can safely affirm that it doesn’t produce any unpleasant and drastic sounds. In fact, it has a soft hum which can even improve your sleep. The heater’s strongest benefit comes in the form of increased portability. The unit is extremely lightweight and easy to carry around. You can store it anywhere without having to deal with the space management all the time. Having read various reviews, we found out that people even take it with them on camping trips. Mr. Heater is an indoor radiant heater that merges a multitude of features into a single unit. Here’s what it offers. First of all, this is a liquid propane heater. What that means is that the unit can work without having to use an electric output. What’s more important is that it doesn’t produce harmful gas. It has a safety system that immediately shuts down the heater if oxygen levels were to drop. The temperature is highly adjustable. You can set it to run anywhere from 4000 BTU to 9000 BTU. That way you can control how much energy it uses. Even though the whole unit feels like a small heater, it can heat up a 200 square feet room in a matter of minutes. There is no wasting of energy as all the energy is used only to produce heat. That makes this unit 100% energy efficient. Another point where the unit shines is its design. There is a four-position heat level control knob on the side of the heater which has a built-in spark ignitor. Additionally, propane cylinders are hidden behind the appropriate fuel compartments. That means that nothing can damage the bottles. Also, there’s a convenient handle on the top of the unit which makes it easy to carry around. There’s really not that much to say about the downsides of the product, given that it’s an all-inclusive device. The only downside of the unit is its size because it might struggle to heat up a room (larger than 200 square feet) on its own. We’ve laid out some of the most optimal options concerning the best space heaters currently on the market. However, if you’re still not convinced as to why they’re the best, we’ll provide additional information to help you understand the products in greater detail. As is the case with any other product, the process of purchasing can often be a difficult and tiresome one. You have to take into account all sorts of different factors in order to make an informed decision and purchase the right product for you. In order to appropriate the whole topic of selecting the right space heater, we’ll start with the basics. Space heaters are mobile units that people use to heat up a designated area. In some cases, they are used as supplementing units while in other cases people rely entirely on them to heat up the rooms. The difference between a space heater and a central heating system is that they only provide warmth to the room they’re in. Before you start looking into various space heater designs and types, you should understand how they work and which type of heating they use. What is important to know is that there are two main types of heating, Electric, and Gas. Electric heating can be further divided into Convection, Radiant, and Micathermic heating. Gas heating can be divided into Propane-based, Kerosene-based, and Natural gas-based heating. The most common of the three is definitely Convection heating. People often use it in order to heat the desired areas for longer periods of time in an efficient manner. It works by circulating convection currents through and across a certain heating element. These heating elements refer to materials such as electric wires, oils, electric coils, etc. Convection heating is suitable for large living spaces because they heat up the surrounding air. It can heat up the air pretty quickly, and the air lingers on even after the heating has been shut down. Next, we have Radiant (Infrared) heating. Radiant heating operates similarly to Convection heating. The only difference is that this one uses a focused heating system instead of dispersing the warmth throughout the whole room. So, the main idea behind this type of heating is to provide direct heat. It can warm rooms as well, but it takes a bit longer. And finally, there’s Micathermic (Panel) heating. This heating process combines all the features that Convection and Radiant heating processes have. There’s usually a paneling in front of the heating output which radiates off the warmth everywhere across the room. This type of heating doesn’t use fans, which reduces the amount of noise and dust circulation. Propane-based heating usually requires to be lit using a match or some kind of electrical ignition. It always uses fuel in order to produce heat. There are all sorts of different fuels that can be used. Kerosene-based heating revolves around using an internal wick (similarly to what lighters use) in order to burn kerosene and produce warmth. That’s the only difference to the previous one. Natural gas-based heating is almost self-explanatory. However, this type of heating requires professional installation because it uses a dedicated gas line. Natural gas costs far less which is why some people opt for this type of heating. It’s important to understand the difference between these three types because it can greatly influence your decision when you start looking for the right space heater. Now, there are many space heater designs and types that integrate these heating processes and amplify them. Let’s move on to that. Now, that you know what type of heating you want, you can focus on getting a heater that operates in a way that’s to your liking. All heaters boil down to four primary categories, and those are Space, Floor, Baseboard, and Wall (mounted) heaters. There are also some outdoor space heater types such as Tabletop and Freestanding heaters. However, they aren’t the focus of this buying guide, so we’ll skip those. Space heaters are the most popular type since they offer a variety of options. These heaters can deliver focused waves of warmth in order to bring comfort. They are quite convenient as they allow you to place them anywhere you want. You can either rest them on the floor or even on a table if you wish to do so. Floor heaters are a bit different if we compare them to space heaters. They are also portable, at least to some extent. Their design is often vertical which makes them suitable only for floors. The main idea behind the vertical design was to make a unit that could be placed somewhere in the corner of the room. From that position, it could disperse the warm air via the fan (which they often have). Baseboard heaters present an interesting way of heating a living space due to their low-profile design. People install them directly on the floor or at the bottom of the wall. They are often popular when it comes to heating basements. Wall heaters are suitable for places which require supplemental heat sources (bathrooms, kitchens, etc.). Installing a wall heater saves you additional floor space. However, they can’t be placed anywhere. You have to attach them to a wall due to their design. As you can see, there are many ways of integrating and appropriating a heating unit to the area which you intend to heat. Now, let’s proceed and discuss some factors that you should pay attention to when buying a heating unit. The most important thing when it comes to space heaters is to make sure that they’re actually safe. You don’t want your loved ones or pets coming near a dangerous unit and hurting themselves. There are multiple cases of people’s homes catching fire due to a cheap heating unit without safety mechanisms. When buying a space heater, always look for certified units. The manufacturers always try to address the issue of potential inconveniences which is why they incorporate various timers and automatic shut down mechanisms. Moreover, some manufacturers use specific materials that don’t heat up. Those materials reduce the chances of burning yourself upon touching the surface of the heater. If you’re planning on using a space heater in a small enclosed space then perhaps you should avoid getting a gas-based heater. On the other hand, you could use it if you have a decent ventilation system for the fuel fumes. Furthermore, if you have a lot of flammable furniture (like carpets, certain seatings, etc.) avoid purchasing heaters which do not allow you to adjust where the heat comes from. Size is almost as equally important as safety. In most cases, the size influences and determines how safe a unit is. Placing a big unit into a crammed up living space is ill-advised. That’s why you need to determine the right size for your room. You can do that by checking the approximate square footage of your living space and matching it with an appropriate unit. Most manufacturers state the optimal square footage for each heater so that shouldn’t be difficult to figure out. In case you find a product that doesn’t have that information, you can measure it yourself. Each square foot requires 10 watts of heating power. So, if you find a heater that is around 1,000 watts, it means that it’s intended for an area which is 100 square feet. Another important remark regarding size is that it can also affect your electric bills. If you buy a large heating unit for a small room, it just means that it’s going to use more energy. There’s really no need for that as there are smaller units on the market. On the other hand, if the heater is too small there is a chance that it might overheat in an attempt to heat a larger area. It’s understandable that most of these units emit white noise during the heating process. Even the best indoor heaters for large rooms produce it. Some people find these sounds comforting and say that they actually help them fall asleep faster. Others are bothered by them and can’t stand them. The space heater that you get depends on whether you belong to the first or the second group of people. There’s an easy way to determine which heater produces more or less noise. Space heaters with fans tend to make more noise than the ones that radiate heat or produce it in any other way. We’ve mentioned several models which are nearly silent, and most of them use panels or gas. You can always opt for space heaters that offer more features than other units. However, keep in mind that some manufacturers manipulate their customers into thinking that such heaters are of good quality. What you want is a heater that will have just the necessary features. There’s no need to buy a unit with an extensive list of features, half of which you won’t even use. Spend your money smart. Here’s a short list of what we think are the most important features for a space heater. Automatic shutdown mechanisms and timers – It’s a useful feature to have because it prevents the unit from overheating. Moreover, you can program the unit to start or stop heating at a specific time. That way, you know that your house is safe and you might even lower the cost of your electric bill. Low energy consumption and eco settings – If energy consumption is your concern, there’s a variety of space heaters that offer eco settings. The sole intention behind these models is to lower the energy usage. Temperature settings and thermostats – The more temperature settings and modes you have, the better. That means that you can adjust the temperature in accordance with your preferences. By using a thermostat you get the ability to maintain that temperature level. Handles and wheels – If you opt for a unit that’s portable, having some sort of wheels and carrying handles is a must. The price of a unit might be a primary feature for some people, which is fine. It might be a good idea to think in advance and go over the features that you want your unit to have. That way, you have all the time to determine whether a certain unit is worth that much or not. On the other hand, the market has some good budget options such as Mr. Heater MH9BX or Lasko’s Ceramic Heater. Whatever you get should fit your budget. We’ve reviewed at least 15 space heaters, five of which made it to this list. Each previously mentioned unit has one aspect that makes it stand out. However, we’ve chosen Mr. Heater MH9BX as the best space heater for a large room. It seems that the company behind this heater wanted to design the perfect solution when it comes to dealing with the cold in large areas. Not only did this heater exceed our expectations but it also raised our standards regarding the way we look at other space heaters now. We hope that, by reading this review, you’ve gathered all the necessary information to make an informed decision when buying a space heater. You could stick with our recommendations if you agree. If not, we provided a detailed buying guide to help you find out which features you want your space heater to have.